No matter how hard you try, you cannot live without being exposed to chemicals. You have to rely on different chemicals to complete specific day-to-day tasks. What you should keep in mind is that strict regulations are in place to ensure that these chemicals are safely labeled and packaged. They also contain advice on how you should use them in a safe way. There are many hazard symbols, and these symbols can be on a variety of products, including bleach and lime-scale removers and dishwasher tablets to DIY products such as varnishes, paints, garden chemicals, and adhesives. Be sure to have knowledge about what those symbols mean to be safe when using certain chemicals and products. A compressed gas is actually gas at normal room pressure and temperature. The gas is chilled usually to be contained in a cylinder. The hazards include explosion as a result of banging, damaging, puncturing, or dropping the cylinder. The cylinder can also rocket and go out of control causing property damage and serious injury. It may also cause suffocation because gas cylinders usually contain a huge volume of gas and any leakage in a poorly ventilated room may prove quite dangerous. The most common examples include compressed propane, which is used as a fuel for barbecuing; compressed acetylene, which is used for welding, and compressed helium, which is used to inflate balloons. 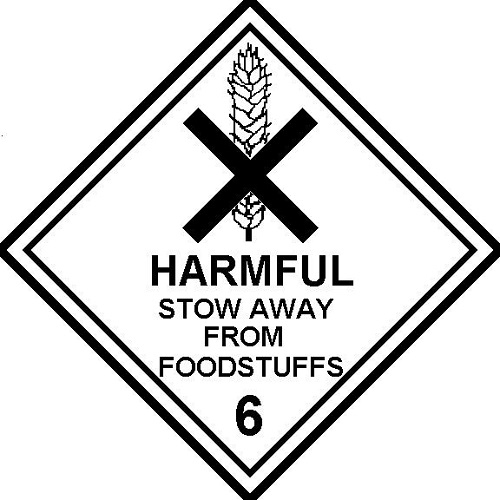 The symbol shows that product should be stored away from foodstuff. 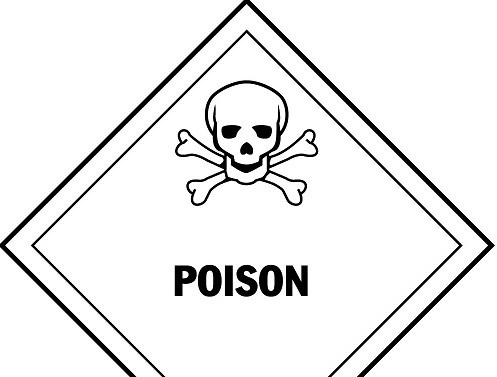 It is poisonous or toxic and is hazardous to health when swallowed, inhaled, or when exposed to bare skin. It shows that the substance is very hazardous to health when swallowed, inhaled, or absorbed through the skin. It may even lead to death in some cases. It is important to contact a physician immediately. The most common examples are mercury, benzene, and arsenic. 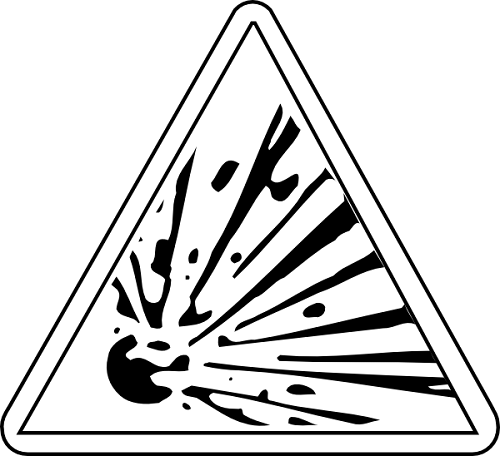 The symbol shows that exposure to the substance can cause severe irritation, including rash and redness or even toxicity. It is important to keep it away from eyes and skin and never release to the environment because it damages the ozone layer. Be sure to wear eye goggles and safety gloves when working with such substances. Benzophenone and ammonia solution are common examples. You are quite likely to find this symbol on many weak acids and alkalis. The symbol tells that if the substance touches your skin, it will burn into your flesh. When they touch your eye, they cause permanent blindness. 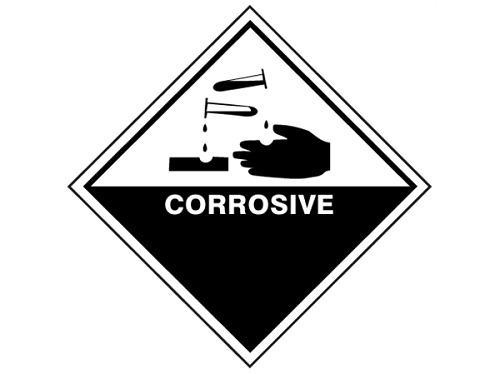 Corrosive substances are extremely dangerous and it is therefore important to wear glasses and gloves while handling these. The most common example is concentrated solution of caustic soda and other strong bases. This is quite an important symbol in the list of hazard symbols and meanings because it shows that the substance does not burn itself but produce enough oxygen for other inflammable substances to burn. It is, therefore, important to keep it away from combustible, flammable, and spontaneously combustible materials. The most common examples of such substances include potassium nitrate, lithium peroxide, and sodium chlorate. 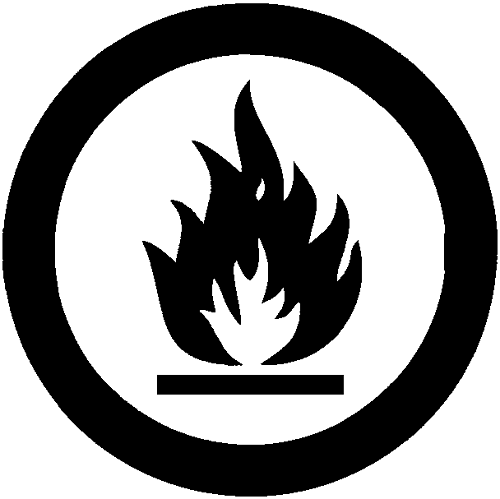 The symbol shows that the substance burns vigorously when ignited at a low temperature. It ignites spontaneously at room temperature, with or without sparks and flames. A common example of one such substance is metallic sodium and sodium hydride that produce flammable vapors when in contact with wet air or water. The sign tells you to keep distance because there is high voltage. If you go near it, it can cause serious harm and even death. The sign is usually present at industrial sites. Avoid going near those sites or high electricity will cause serious harm. 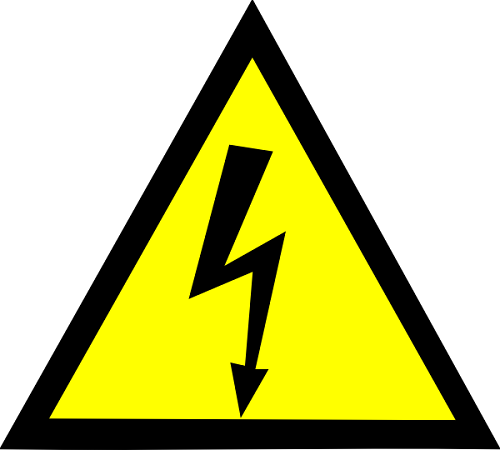 The sign is also commonly used in scientific areas with equipment that requires high voltage. It shows the substance is highly explosive and may explode spontaneously when exposed to heat, fire, friction, or shock. It is best to keep your distance and avoid ignition sources as much as possible. Be sure to use gloves when handling such substances. The most common substances in this category are picric acid and benzoyl peroxide. 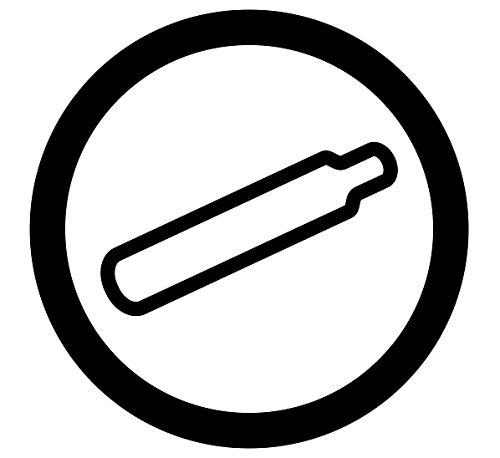 In the list of hazard symbols and meanings, this particular symbol shows that exposure to a particular substance may cause very serious and prolonged health effects. Never swallow such substance and ensure that it does not touch your skin surface. The symbol shows you should not release the substance to the environment because it is toxic in nature and is extremely dangerous to aquatic organisms. The most common examples of such chemicals are chlorobenzene, ammonium hydroxide and hydroxylamine. Always ensure that you have read the label completely before using a chemical product. Follow every safety advice mentioned on the label to be safe. Always store chemical products in their original containers and keep them out of reach of children. The best thing is to keep them in a locked cupboard. Find the phone number on the label and call the supplier if you are not sure about how to use a particular product. If someone in your family swallows a chemical substance or touches something hazardous, you should seek immediate medical attention. Call emergency service and provide them with complete information about the substance you have inhaled or swallowed. Contact your local waste authority to know the best way to dispose of unwanted and old chemicals. Never dispose of chemical products down the drain, sink, or toilet. Server responsed at: 04/25/2019 2:52 p.m.